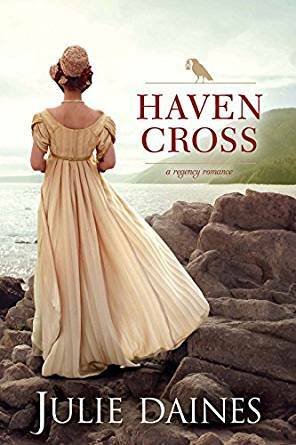 When a shocking scandal involving her father spreads through London society, Elaine Cardinham and her parents are forced to retreat to their country home in Cornwall for refuge. But Havencross is no sanctuary for Elaine. She is haunted by the mysterious disappearance of her brother and the heartbreak she left in her wake all those years ago. It has been five long years since Gareth Kemp last saw Elaine when she rejected his marriage proposal. Her reappearance convinces him of one thing: he has never stopped loving her. To put his feelings for her aside, he focuses his attention on the dangerous smuggling plaguing the Cornish coast. As Elaine attempts to run from her past, she ventures ever closer to a dangerous truth and Gareth may be the only one who can save her from a deadly finish. The setting and the descriptions of the countryside, legendary history. The relationship between the main characters. The story is told in alternating points of view between chapters. I have mixed feelings about Havencross only because the last few chapters were too action/ drama driven for my taste. There is moderate violence and a bit of a dark tone which overshadows the romance and plot. Character development and tales of the piracy, Arthurian legend. They make a sneak peek, but the legends never get fully fleshed out. The cover and the premise! Henry has worked hard his entire life, but all the money he’s saved won’t be enough to get his father out of debtor’s prison. And Henry’s fondness for Charlotte and her sister is only another reminder of his low status and lack of wealth. Though he is willing to do whatever it takes to keep Charlotte happy and looked after as the county’s wealthiest lady, she can never be his. 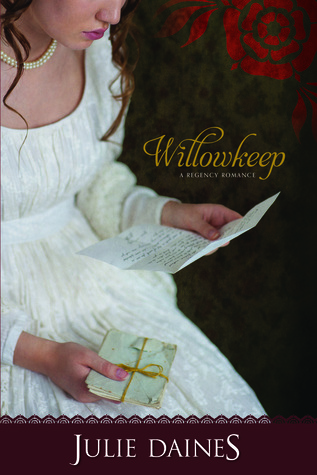 I’ve always been a fan of Regency Romance, but Willowkeep adds a completely new perspective. A young woman, abandoned by her parents and left to raise her special needs sister alone. Charlotte doesn’t live in the best of neighborhoods, down by the docks. She and her sister are desperate as their funds and resources are running out. Along comes a solicitor with a surprising announcement that raises the station of both sisters and transports them to their own estate. Henry Morland, the family steward has also lived a hard life and is carrying the transgressions of his father on his back, trying to repay insurmountable debt. Both main characters are not the genteel society we usually read about, but commoners making their way to something better. With plot twists and historical elements speckled in the story line through letters to Anne Boleyn, this story has much to offer. The bond between siblings is beautiful as is the hope that someone “different” can make their own way. The author explores children with disabilities and the way they were and can be harshly treated versus the caring selflessness of a family member. The book cover was perfect, but the design I struggled with a bit. I found the willow leaves at the beginning of each chapter a bit distracting. Overall, though, I very much enjoyed Willowkeep, the dialogue, the development and the unique point of view.